Singapore’s famous Marina Bay Sands hotel. If you don’t want to stay the night in Singapore there are still options to see the city. The easiest are the free city tours; they only has 2 hours but give you a nice introduction to the city. The tours vary on the sites you visit and they leave at 9:00am, 11:30am, 2pm, and 4:30pm. There is also a City Lights Tour that starts at 6:30pm. 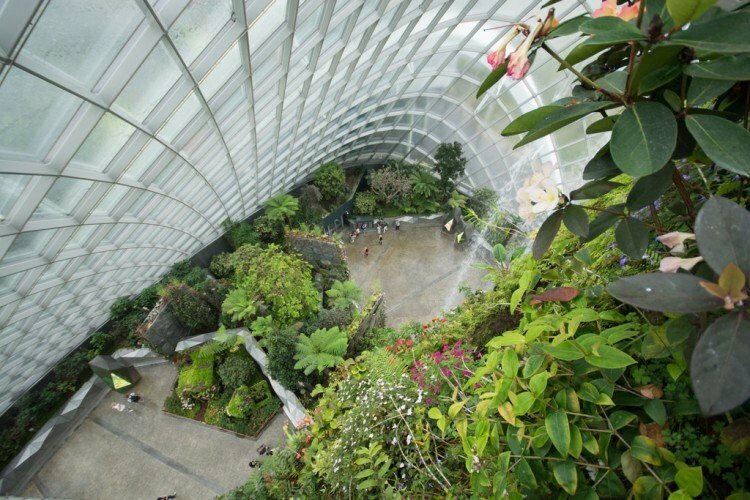 The author of this article has some great ideas on seeing Singapore in a single day. She advocates to not collect your luggage when you get off the plane. It will then go to the “left baggage” office and be safely stored until you come collect it. People do this all the time and it is very safe. You can also store your bags at a bag-check near the taxi stand on the ground floor (outside the baggage claim area). 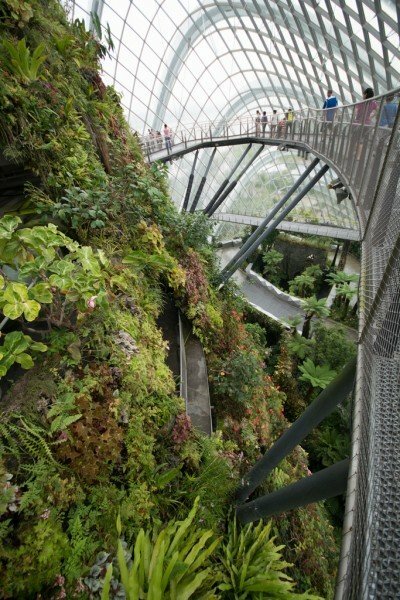 If you decide to stay in Singapore we have some wonderful suggestions. 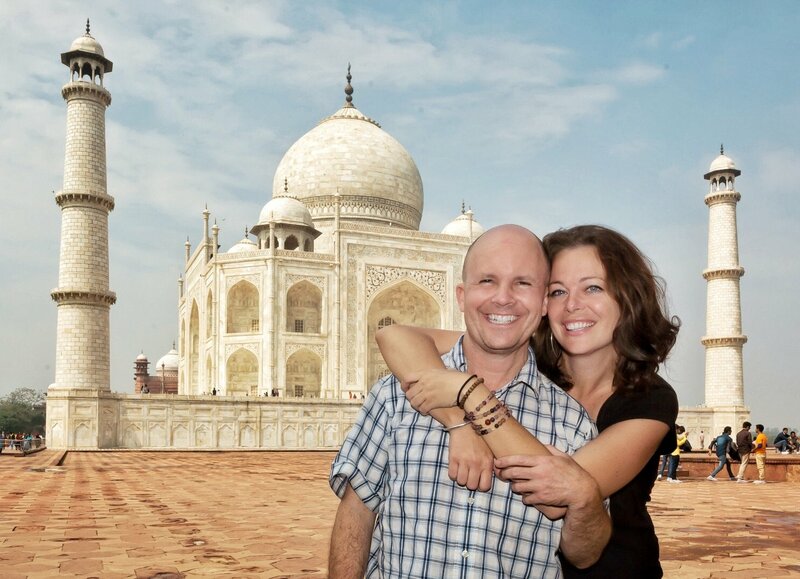 We have personally visited & toured all these hotels (including most categories of rooms). The links below will take you to a site to view and even book the hotel for a discounted rate (we use that site for all our hotel bookings). If you stay at the airport, you have three options. One is to sleep on the free lounge chairs throughout the airport. The airport is extraordinarily clean and safe and quite quiet at night. It’s not a bad option for those trying to save as much money as possible. The second option will only work if you book at least 4-6 weeks ahead of time. It is the Ambassador Transit Hotel. You reserve your room for a six hour block and can add hours as you feel necessary. Please read their instructions closely regarding collecting your luggage and checking in for your subsequent flight. Please ask us if you have any questions regarding this process. The third option is the Crowne Plaza Hotel Changi Airport. This is a full-service hotel connected to the terminals at Changi Airport. It was voted as one of the “World’s Top 10 Airport Hotels” at the 2011 World Airport Awards. If you decide to stay in town, here are your best options. This list is far from comprehensive as there are more than 550 accommodation options listed on TripAdvisor. But we have seen many hotels in Singapore and feel these are the best. The best hotel option is probably Marina Bay Sands (“MBS”). It is very nice and is part of the most expensive building ever constructed. It is luxurious and expensive (not as expensive as Raffles or The Fullerton) but what you’re really paying for are the amenities (sky deck, infinity pool, mall, gardens & grounds, casino, etc). If you stay here, you will never have to leave the hotel if you don’t want to, as there is plenty to do on site. The grounds are simply fantastic (see the gardens and the “Super Trees”). 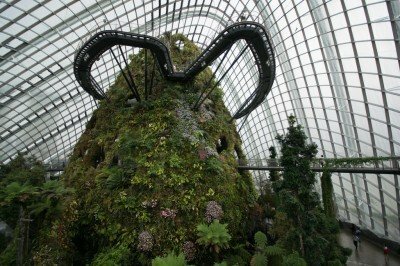 The Gardens by the Bay are nice (about $20 but if you like plants & flowers they are quite impressive) [note: Lauren & I both prefer the free Botanical Gardens, but that will be a taxi ride to visit]. The mall is incredible. 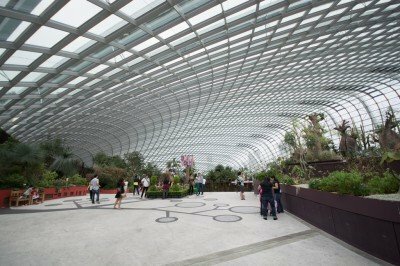 There is a higher-end mall (called Ion) on Orchard Blvd, but the MBS mall is my favorite. There is a food-court in the basement (right across from the skating rink). It has all the foods from Singapore and is the cheapest option in the mall (quite reasonable and REALLY good). Most importantly for this hotel is the sky park and pool on the roof. It’s unbelievable! You might not want to leave! Even if you’re not staying at Marina Bay Sands, you can’t miss the water & light show. It happens twice per night. We recommend seeing it from the hotel-side and then from the other side (where the Merlion is) later that evening. To see the show from the hotel side is more emotional (the short movie they project on a wall of water is a tear-jerker) but the lasers from across the bay were amazing. Probably the best overall hotel in Singapore is The Fullerton. The location is superb and the hotel is divine. It is a very short walk to the bay, Clarke Quay, and Merlion Park and not very far to Marina Bay Sands. Personally, I would still have to recommend Marina Bay Sands over Raffles or The Fullerton but all are good options. 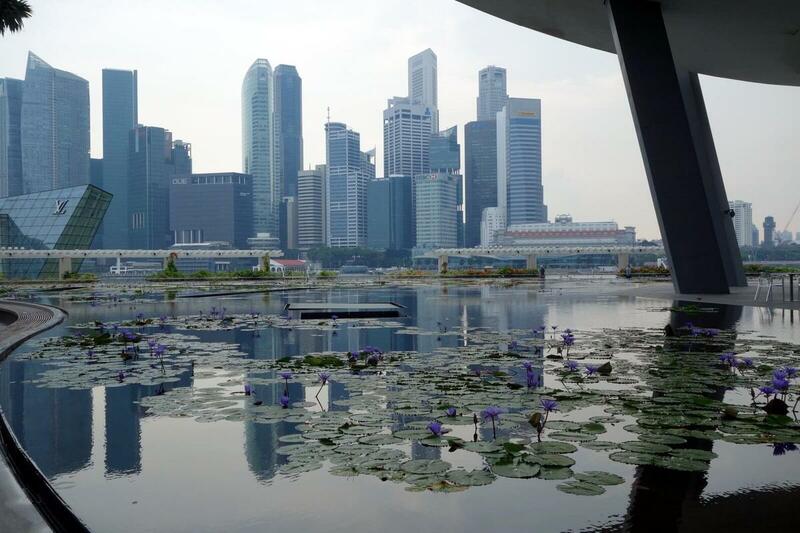 The Mandarin-Oriental has a gorgeous view of Marina Bay Sands and is quite nearby. The Mandarin-Oriental chain is well-known and in the highest class of hotels. Highly recommended, but only if MBS or The Fullerton are fully booked. Raffles is possibly the most famous hotel in Singapore. It’s especially well-known for its bar (the Long Bar, where the Singapore Sling originated). The hotel is amazing and so big. There is a lot of shopping in the hotel and the location is great. There is a nice mall right across the street. The Long Bar, however, may be over-rated and definitely is too expensive. The Singapore Sling will cost $22USD plus tax & tip. Yup, that’s for one drink. That said, it’s kinda cool to say you’ve had one there. After that, however, you might want to eat elsewhere. 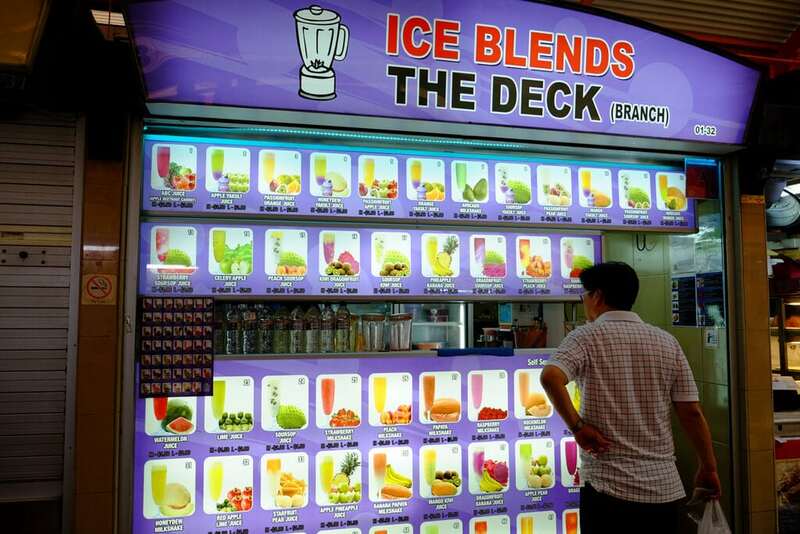 There are so many great food options in Singapore that are better and cheaper. We’ll go into our favorites below. But one place that isn’t that far from your hotel is called Clarke Quay. It’s famous for its seafood and a fun place to hang out. Suffice it to say, Raffles is a wonderful hotel and you’ll have a great time there–though quite frankly we think it’s slightly over-rated. New Majestic Hotel in Chinatown. Gorgeous hotel with very nice rooms in a good location. This is one of the most famous hotels in Chinatown. It will typically cost around $200/night. Travel + Leisure Magazine just rated one of the suites at this hotel to have one of the coolest bathtubs in the world. Hotel 1929 in Chinatown. A sister property of the New Majestic Hotel–it is slightly less expensive but still very nice. The Scarlet Singapore hotel in Chinatown. We love this hotel. 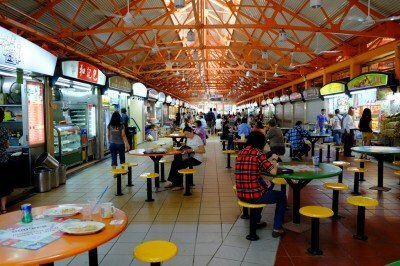 It is a 1 minute walk to Maxwell Road Food Centre (which will end up saving you lots of money on food). The rooms are small but swank. Santa Grand Hotel in Chinatown. This hotel is a gem and is about as inexpensive as possible without staying in a hostel. It is built into a former Chinese opera house. They covered everything that stood still with red velvet and red carpeting. The basic rooms are tiny, but there are more expensive upgrade options. The location is RIGHT in the heart of Chinatown. Adler Hostel in Chinatown. This is one of our homes in Singapore. It is THE highest-rated and most famous hostel in Singapore. The beds are pods instead of bunks (where you can pull a curtain as if you’re in your own tiny room). One bed will cost you about $45/night. The people who run the guesthouse are wonderful. It is exceptionally clean and the included breakfasts are simple but delicious. It is perfectly located in Chinatown across from a Hindu temple. Maxwell Road Hawker Center. This is probably the best and easiest place to experience REAL Singapore food. It sits in Chinatown and is very easy to find. You’d be happy eating at any one of the 100 food stalls, but there are some favorites (see photos below). Food Court on the ground floor of Marina Bay Sands mall (across from the skating rink). 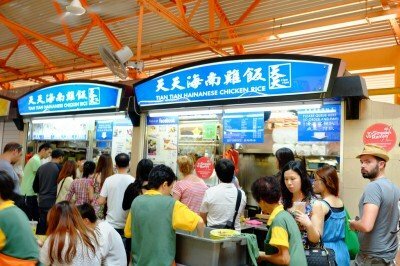 Though in a very expensive mall, you can get most of the Singapore staple dishes for a reasonable price. If you find yourself at MBS, you should definitely eat here. Try the black “carrot cake” and Char Kway Teow (aka Fried Kway Teow) at this stall. Below is possibly the single most famous food stall in Singapore (Tian Tian Hainanese Chicken Rice). If you like tender and juicy chicken this is the place for you. There is nothing not to like about this dish unless you’re a vegetarian. Even people who are afraid to try foreign foods will love it (not spicy at all). 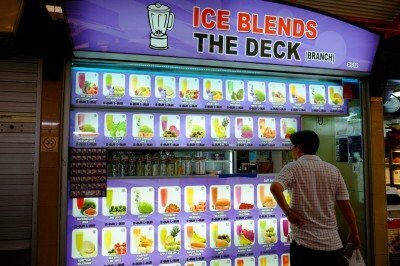 There are probably 10 stalls that sell smoothies, blended drinks, and juices. This is my favorite. She has every fruit you can imagine and will blend up any concoction you can dream of. Below is the seating are of Maxwell Road Food Center. It’s open seating. You order and pay for your food and then bring it to your table. If, however, you see a packet of tissues at a spot–it means it’s reserved for someone else. You might end up sitting with some local folks–if you do, ask them what they’re eating. Everyone speaks English to one degree or another. Below is one of the roads in Chinatown. 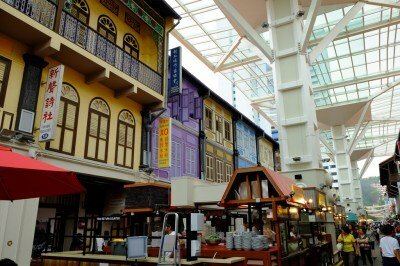 It’s sheltered from the rain, has some good food stalls and has great places to get foot massages. Below are some photos of Gardens by the Bay–the indoor botanical gardens at Marina Bay Sands. Need more? 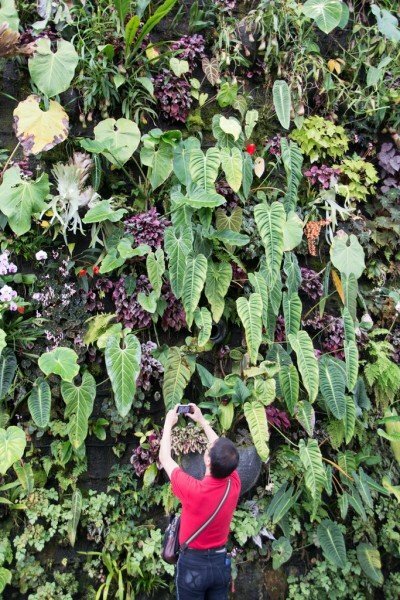 50 more interesting things about Singapore. Just accidentally found your blog while googling.. Thanks for the suggestions as we are currently on Gili Air and leaving shortly for Singapore, where we will be for a few days. We have been wondering what we are going to do there and now see that there is tons to keep us busy. Thanks. Eve-Lynn and Allen (The Canadians who met you and Lauren on the bus in Chefchauen, Morocco.